IKEA flat (or slab) doors are the favorite choice of many. 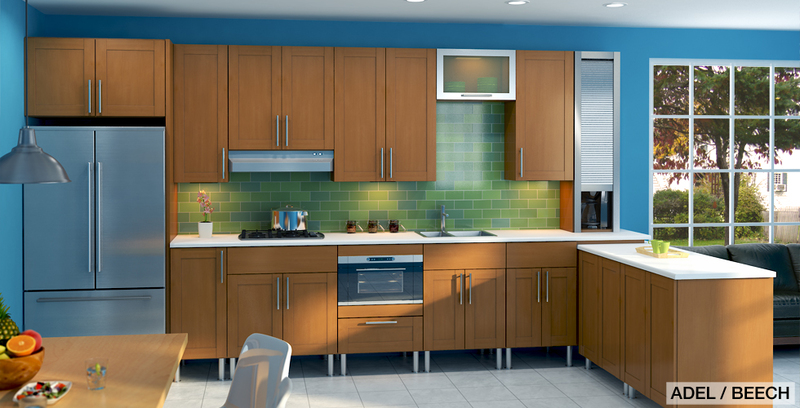 They’re not only an affordable option, they give an immediate contemporary look to any kitchen without being too edgy or bold. The essence of this style is often about minimal embellishment and creating a streamlined look. 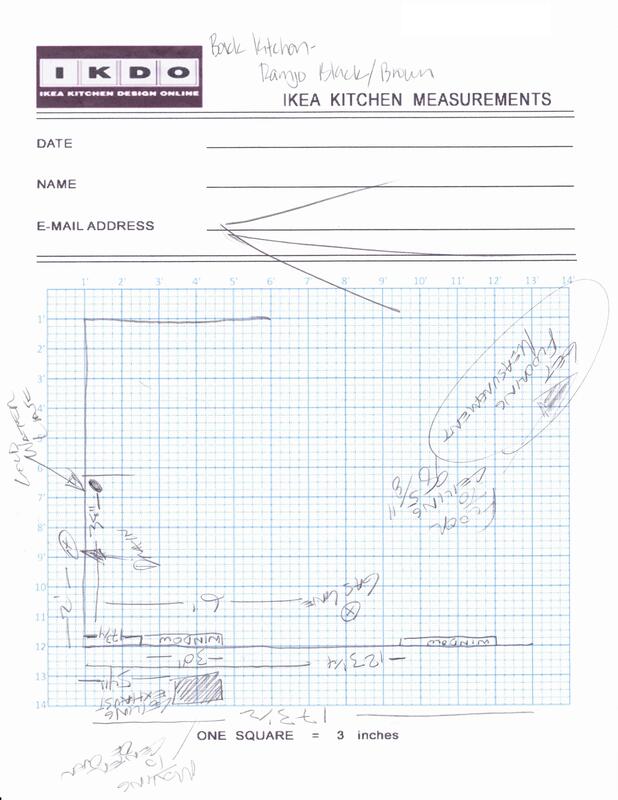 So, how can you make your IKEA flat-panel door stand out? 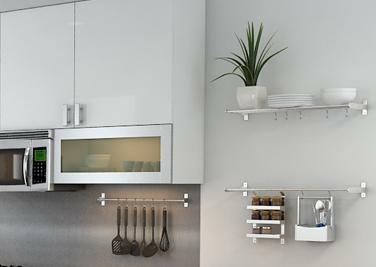 Subtle hardware choices can make a big impact in your kitchen. 1. Tubular stainless steel bar pulls. Some examples: LANSA, VINNA. These can be modern or transitional. They make the biggest statement when they’re run as long as possible on the door or drawer. Tip: They work well with flat doors or even shaker-styled doors (like RAMSJO or ADEL). 2. Flat bar pulls. Some examples: TYDA, METRIK. Very modern. TYDA handles will also match the handles of your FRAMTID ovens and microwave ovens. Tip: They work well with horizontal wood grains, deep drawers and mosaic or smaller tile backsplashes. 3. Tab pulls. Some examples: KLIPPIG and BLANKETT. Minimalistic, functional and discreet. Their look changes the kitchen. Tip: They work well with wood veneers and high-gloss finishes. 4. Knobs. Some examples: ATTEST, BASTIG, GLIRA, VARDE. They are extremely minimalistic but also soften the look of the flat doors. We recommend using at least two for larger drawers. Tip: These will also look great against rich, middle-toned wood finishes such as ADEL beech or RAMSJO red-brown. This island design bears a resemblance to a command center. One that is removed from the actual production (in this case cooking) and fitted with the essentials to clean-up after that production has been completed. It’s as if Captain Kirk himself designed it. The angles give a great area to operate from and a “power” look, but lots of cabinet space below is wasted because of those very angles. See the empty area alongside the sink in the image below . 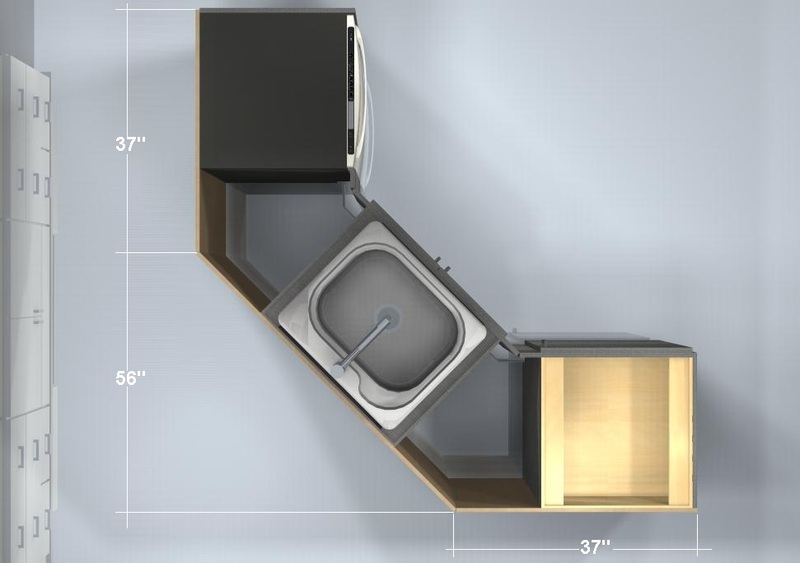 . .
Also, consider designing a stovetop instead of a sink with adjoining drawer bases. 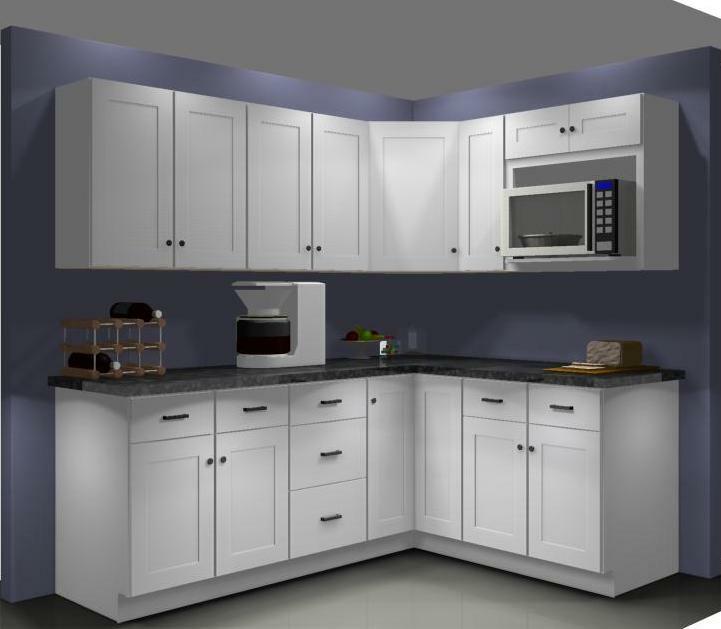 This design consists of a cabinets a 36” sink base and a 24″ single full height door cabinet, 3 x 8 paneling trimmed to size for the sides and back and four 3″ fillers. Doors and storage towards two distinct areas . . . how practical! Islands usually serve only the kitchen. Our IKEA island does more – it serves the dining area also. 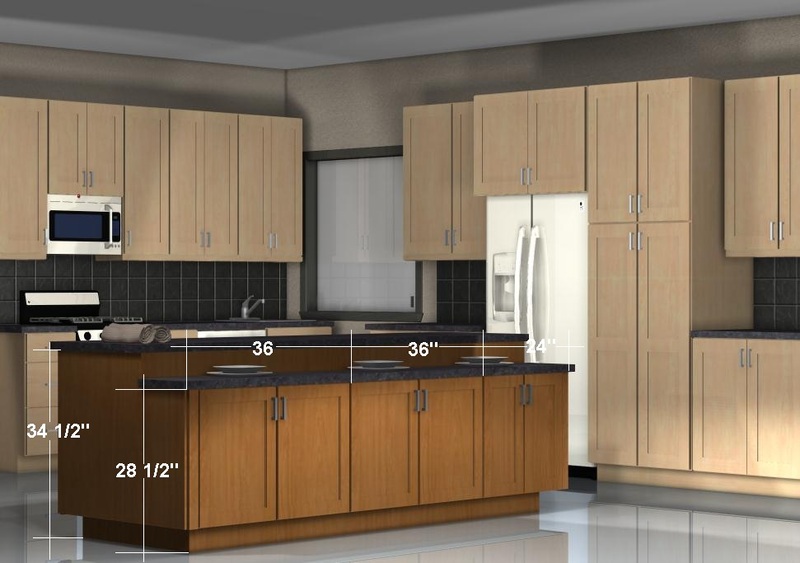 Designed as a room divider, the back row consists of the regular 36″ and 24″ wide deep base cabinets used for food preparation and large item storage such as pots and pans. 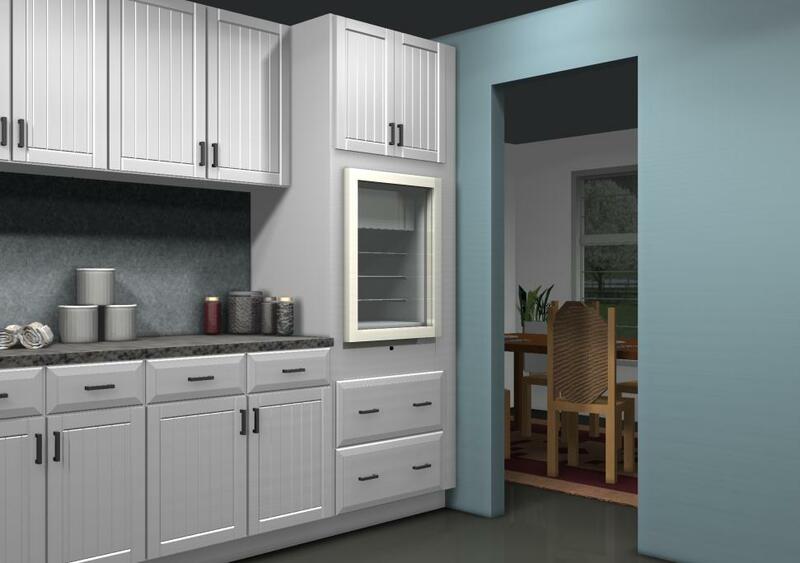 While the front consists of lower, narrower wall cabinets to store items such as plates, bowls, coasters, tablecloths and place mats for the dining area. The lower level also functions nicely as a staging area for big dinners. 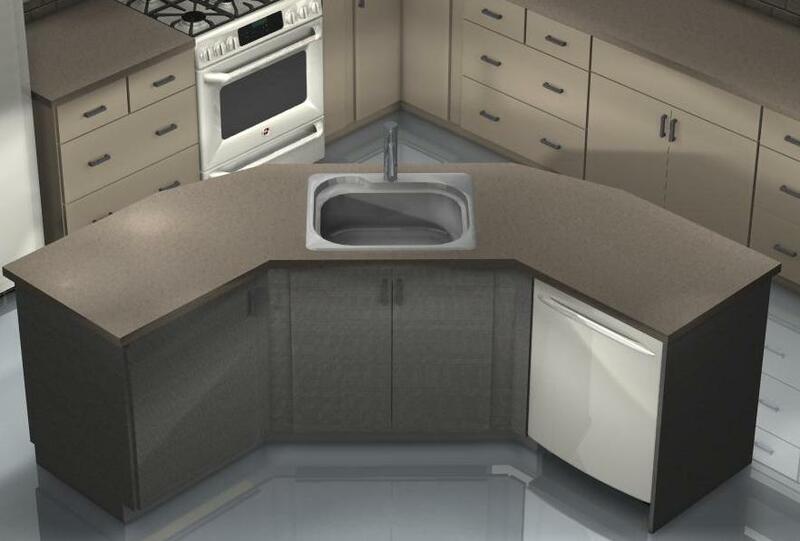 The total dimension of this island is 96” x 37” + any countertop overhang. 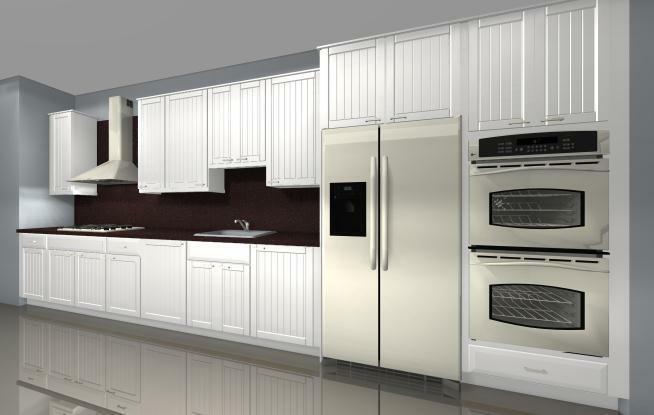 White cabinets are one of the most popular choices among buyers, but making the room stand out can be a bit tricky. 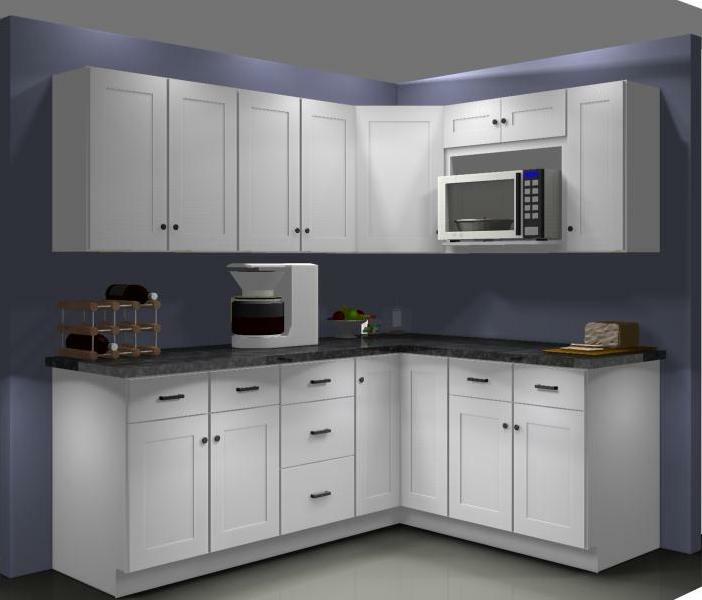 We’ve chosen 5 easy ways that will give any kitchen a makeover of a lifetime using: White IKEA cabinets. 1. Use a fun backsplash. Get inspired! There is a wide variety of materials and colors you can choose from. You can go for glossy acrylic laminates in bold colors, beadboards in nice earth tones, ceramic tiles and mosaics or even go a little crazy and use corkboards or blackboard paint, anything you can think of. 2. Open shelf displays. Take advantage of your vases and other colorful trinkets you have a hard time finding a place for. 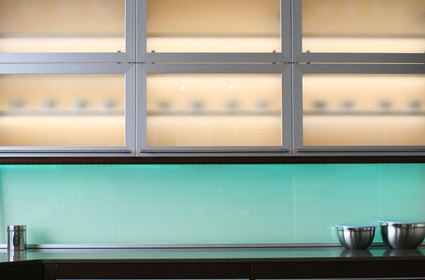 These are wonderful personal touches for your kitchen. The best part is that you can change them up depending on the seasons and constantly change the look of your area. 3. Go green. 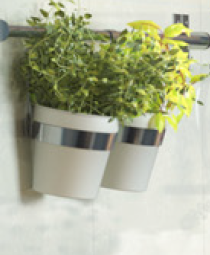 Adding potted plants to your kitchen is a great way to bring some life and color to it. You can even adapt them to a rail close by your cooking area and have your natural herbs by you when you need them most. 4. Complementing Countertops. Light wood tones, such as the Numerar Countertop in Birch (pictured above), go great with traditional white cabinets. Dark woods can be used as well and even for more contemporary styles. You can also go for plastic laminate countertops for a more affordable solution, which comes in different colors and textures. Dark stone counters work great as well. 5. Add some color. Finally, treat your walls to some emotions. 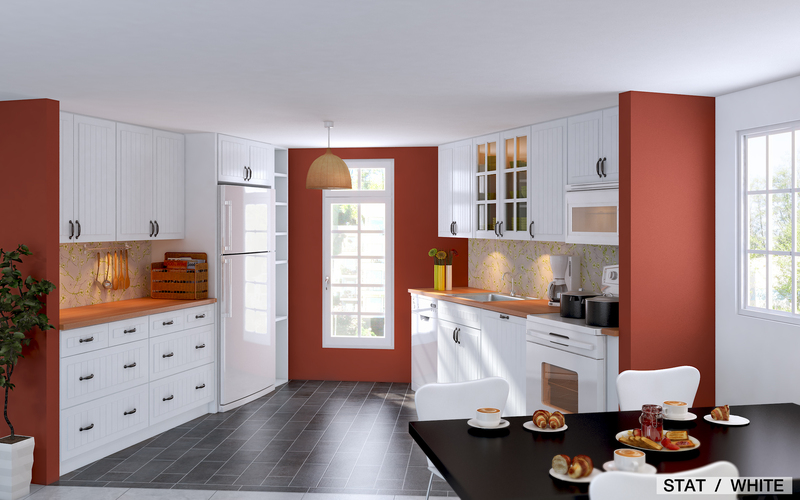 Whether you want soothing blues, or bold oranges, and even chocolate browns you can easily set the mood you want for your kitchen.